The plot of the latest film in the Star Wars universe has been unveiled. 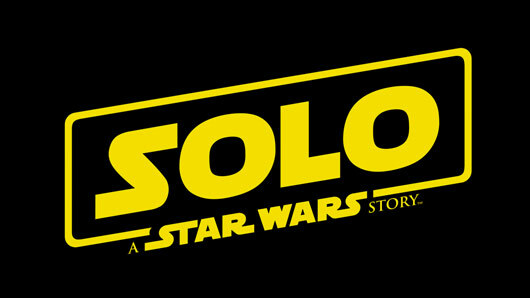 Solo: A Star Wars Story is a new film centred around loveable smuggler Han Solo and is scheduled for release in May this year. Despite the release date being so soon, there’s not really been a lot of information released to the public about the new film. Thankfully, the first official Disney synopsis for the film was finally posted online yesterday. The film will focus on the first adventure of best friends Han Solo and Chewbacca as they join forces for the first time when they encounter a crooked gambler. As one might expect, this all takes place in the depths of the criminal underworld – so it’ll probably be a lot of fun. The new film is directed by multi-Academy Award winner Ron Howard and will star Alden Ehrenreich in the titular role. Donald Glover will play Lando, while big names Woody Harrelson, Phoebe Waller-Bridge, Emilia Clarke, Paul Bettany and Thandie Newton will also make appearances. Solo: A Star Wars Story will hit cinemas on May 25, 2018. 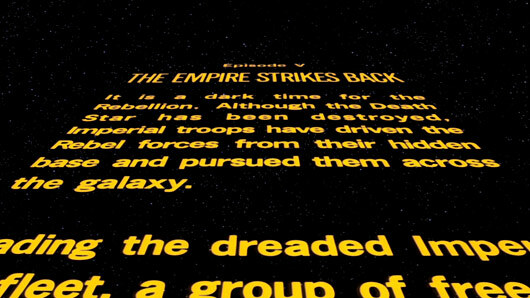 Our first glimpse at the traditional Star Wars opening crawl for the upcoming episode VIII is here. We can’t see exactly what will be said, but it still gives us a chill to see the new title confirmed. Fans have speculated extensively on the meaning of the title of the new film, with some believing in refers to Luke Skywalker (Mark Hamill) – who was referred to as ‘The Last Jedi’ in the Force Awakens opening crawl. Others have argued that since ‘Jedi’ is both the singular and plural form of the word, it could be referring to both Luke and new hero Rey (Daisy Ridley), or any number of people. Star Wars: The Last Jedi will continue on from where The Force Awakens left off in 2015, with Rey finally discovering an older Luke Skywalker. General Leia Organa will also play a larger role in the sequel, with all of her scenes being filmed before Carrie Fisher’s tragic death in December 2016. Episode VII alum John Boyega, Oscar Isaac, Lupita Nyong’o, Adam Driver, Domhnall Gleeson and Andy Serkis are all scheduled to return to the franchise for The Last Jedi. Star Wars Episode VII: The Last Jedi will be released in cinemas on December 15. The full title of Star Wars Episode VIII has been revealed. According to the official Star Wars Twitter account, the full title will be Star Wars: The Last Jedi. The film will continue on from where The Force Awakens left off in 2015, with new hero Rey (Daisy Ridley) finally discovering an older Luke Skywalker (Mark Hamill). The new title begs the question of whether the title is referring to Mr Skywalker as The Last Jedi. We’d be very surprised if Mr Hamill didn’t play a larger role in Episode VIII, after all. After that teaser trailer earlier this week, the full trailer for the upcoming Star Wars film, Rogue One, has finally been released. Rogue One is the first Star Wars stand-alone film, set in the same universe as parts 1-7 but boasting a separate story. It is set before the events of Star Wars IV: A New Hope, and is about a group of Rebel spies who try to steal the plans for the Death Star. The new trailer begins new characters Jyn Erso (Felicity Jones) and Cassian Andor (Diego Luna) receiving a dangerous new mission and ends with our first glimpse of Darth Vader in the new film. As well as Jones and Luna, Rogue One stars Riz Ahmed, Ben Mendelsohn, Jiang Wen, Donnie Yen, Forest Whitaker, Mads Mikkelsen, Alan Tudyk and Jonathan Aris. Rogue One: A Star Wars Story is scheduled for release in cinemas on December 16. A teaser for the forthcoming Star Wars Rogue One trailer has been unveiled. It has been confirmed that the full trailer for upcoming Star Wars stand-alone film, Rogue One, will premiere for the first time during NBC’s Olympics coverage on Thursday – and now we have a trailer for that trailer. Rogue One will be the first stand-alone Star Wars film, set in the same universe as parts 1-7 but boasting a completely separate story and characters. It is set before the events of Star Wars IV: A New Hope, and is about a group of Rebel spies who try to steal the plans for the Death Star. Rogue One stars Felicity Jones, Diego Luna, Riz Ahmed, Ben Mendelsohn, Jiang Wen, Donnie Yen, Forest Whitaker, Mads Mikkelsen, Alan Tudyk and Jonathan Aris. Star Wars: Rogue One is scheduled for release in cinemas on December 16. Fans of the Star Wars movie franchise are joining forces to call on Lucasfilm and The Walt Disney Company to introduce their first LGBT character in honour of those who died in the Orlando club shooting earlier this month. Started by Joshua Yehl, a close friend of one of the victims in the tragic incident, the new Change.org petition calls on Kathleen Kennedy (President of Lucasfilm), Bob Iger (CEO of The Walt Disney Company), and all of those behind the Star Wars films to create a character to commemorate Yehl’s friend Drew Leinonen, who was a massive fan of the films. “While Star Wars is a sci-fi fantasy world with bizarre aliens and hulking monsters, it still features characters just like us,” writes Yehl. “After A New Hope, steps were taken to expand and diversify the cast, giving us the smooth-talking Lando Calrissian and Rebel pilots played by people of colour. At the time of writing, 3,474 supporters have already signed the petition, which requires a further 1,526 signatures to reach its target of 5,000. Show Darth Vader who’s boss by stomping on his head wherever you go! These limited edition, high-fashion heels from our favourite footwear boutique Irregular Choice will have your friends ‘sith’ing with envy. Check out their site for the full Star Wars range, including lightsaber stilettos and Yoda wedges, but get in quickly as these are selling fast! R2-D2 was always our personal favourite, but now he can be filled with food?? That’s a whole new ballgame! This bento box is exponentially cooler than the particularly embarrassing red lunchbox with a mountain on it that I suffered through school with. Oh, and it comes with a handy gadget that stamps the outline of the Death Star onto slices of bread. Too much. We’re not quite done in the kitchen yet (in fact, we’re rarely not in the kitchen – that’s where food is)! This razor-sharp knife block is on point, and currently on sale at Find Me A Gift. And what better gift is there for someone you love than a collection of sharp, shiny knives shaped like a starfighter? The slogan ‘Come to the Dark Side, we have cookies’ has never rung so true. Give your baking a hand with this wonderfully realistic Stormtrooper oven mitt, made from super thick silicon to keep those no-nos and boo-boos at bay. Turn walkies into Imperial Walkers with this incredible jumpsuit and hat combo for your pet pooch or massive cat. Look, this glorious greyhound couldn’t be happier to chow down on that delicious dog slop in his shiny new costume! Check out the full range of affordable Star Wars-themed canine costumes, including dewbacks and banthas, at HalloweenCostumes.co.uk. Awaken the force every morning with this incredibly creepy shower head. Described as ‘pressure-boosting’, the Oxygenics® innovation comes with not one, not two, but three spray settings, so you can become the master of your shower. So good you’ll soon be inviting friends over just to try out your bathroom. Also available in R2-D2! Carry one of the greatest scenes in cinematic history around wherever you go with this stunningly chic ring from ingenious jeweller Paul Michael. We simply can’t believe this hasn’t already cropped up as a wedding ring on Don’t Tell the Bride. If the afore-mentioned ring isn’t intense enough to reflect your personal brand of Star Wars fandom, why not go all out and welcome this piece of statement furniture into your home? Just imagine the evil geniuses who long to sit in that office chair, gazing down at Han Solo’s poor, carbonite-frozen body. We’re always told to put safety first, but alas, we’ve saved it til last, with this Chewbacca seat belt cover. Its faux fur lining makes it especially comfortable for long-distance trips – to a galaxy far, far away, perhaps? Make sure to check out Star Wars: The Force Awakens, starring Harrison Ford, John Boyega, Daisy Ridley, Adam Driver and Oscar Isaac, when it hits UK cinemas this December 17th. Late Show host Stephen Colbert has joined the rest of the internet in speculating about the heavily guarded plot to Star Wars: The Force Awakens, claiming that he – a self-proclaimed super fan – has “the definitive guess as to the entire plot of the movie”. After joking about his friendship with director J.J. Abrams, the comedian astutely predicts that those in the Star Wars universe whom we have known to represent good will be corrupted, and those who have traditionally fought for evil will find redemption in the light. He also suggests that John Boyega’s character – former Stormtrooper Finn – will be the key to this paradigm shift. Watch Colbert’s prediction below, and make sure to check the accuracy of it when Star Wars: The Force Awakens finally hits UK theatres on December 17th of this year. JJ Abrams’s Star Wars: The Force Awakens has broken the all-time record for the most pre-sale cinema tickets sold in one day. While the film won’t hit cinemas until December, its pre-sales have already taken $6.5 million, surpassing every IMAX record ever. These astounding figures come shortly after the release of the third and final full-length trailer for The Force Awakens was published online, to the delight of fans around the world. Meanwhile, the latest instalment of the Star Wars franchise has completely overshadowed another popular fantasy franchise, The Hunger Games, by beating it at the box office by no less than eight times. And the huge numbers of fans rushing to buy their tickets ahead of the new Star Wars film are helping to rub salt in the wounds of racist protesters, who have sparked a Twitter war with the hashtag #BoycottStarWarsVII over their beliefs that the film’s diversity of casting promotes an ‘anti-white’ agenda. 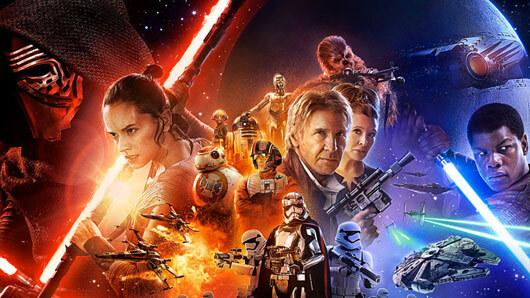 Star Wars: The Force Awakens hits UK cinemas this December 17th. Join the masses and pre-book your tickets today.